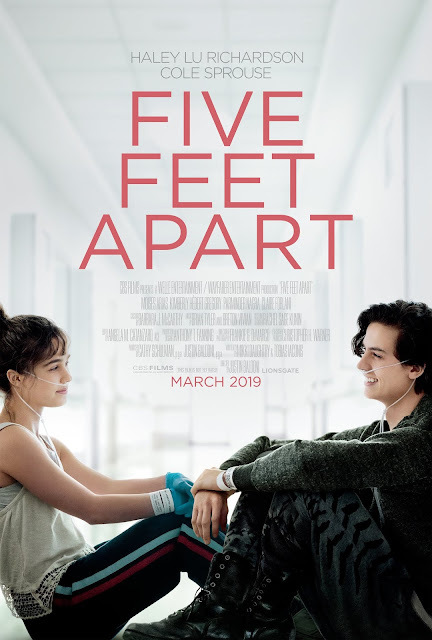 Cole Sprouse and Haley Lu Richardson star in the New Trailer for FIVE FEET APART featuring the original song "Don't Give Up On Me" by Andy Grammer from the film's upcoming soundtrack! Stella Grant (Haley Lu Richardson) is every bit a seventeen-year-old: she’s attached to her laptop and loves her best friends. But unlike most teenagers, she spends much of her time living in a hospital as a cystic fibrosis patient. Her life is full of routines, boundaries and self-control -- all of which is put to the test when she meets an impossibly charming fellow CF patient named Will Newman (Cole Sprouse).